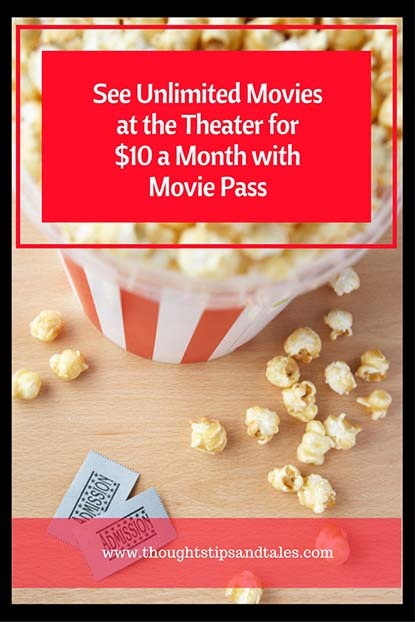 A librarian friend told me about Movie Pass where she and her husband each pay $10 a month to see unlimited theater movies — and it sounded too good to be true. But she’s used it a lot, loves it and has never had a problem. So… another friend and I both bought passes, too. We simply went online to moviepass.com and registered to subscribe for $10 a month after confirming on the website that the pass covers the two primary theaters in our town, plus one nearby that shows artsy, non-mainstream films. You aren’t locked into a long-term plan and can quit anytime. There are virtually no restrictions — see any movie you want (except 3D ones) on the opening night or anytime — as long as it’s not sold out. You are, however, limited to one movie a day. We received physical credit card-like movie passes within a week via U.S. mail, checked what movies were on at the local theater and set out to test the Movie Pass cards. The way you use them is sort of unique. 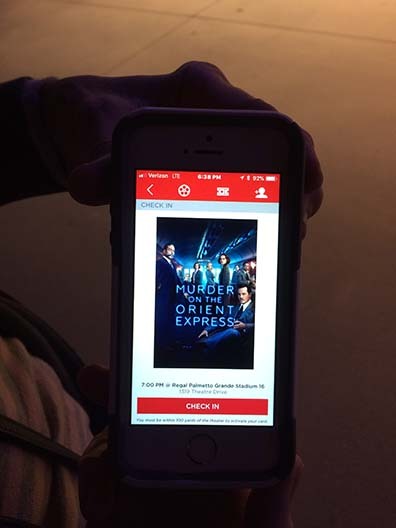 First you download the moviepass phone app, then go to within 100 feet of the theater and select the movie you want to see and the time it’s playing on your phone. Then you receive a confirmation on the phone screen, walk up to the ticket window, ask for a seat at the show you picked and hand over the physical card. The ticket-taker scans it, tells you you owe nothing and hands you the movie ticket. 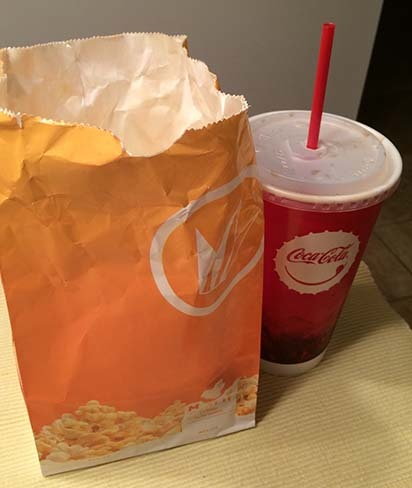 On our inaugural movie viewing of Murder on the Orient Express, I decided to be wild and crazy since I’d come directly from work and was starving — and bought a medium popcorn and soft drink. Unfortunately, that cost a whopping $15.15 — wiping out all my movie ticket savings! Next time I’ll pack a peanut butter sandwich and a bottle of water. I can hardly wait to see all the latest movies! 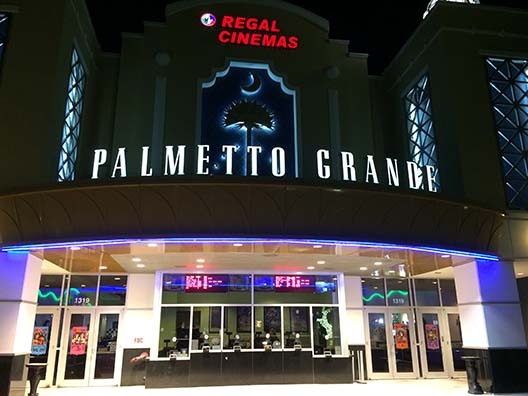 This entry was posted in bargains, life, saving money and tagged bargain movies, bargains, cheap movies, free movies, good deals, inexpensive movies, movie bargains, movie pass, saving money, unlimited movies. Bookmark the permalink.